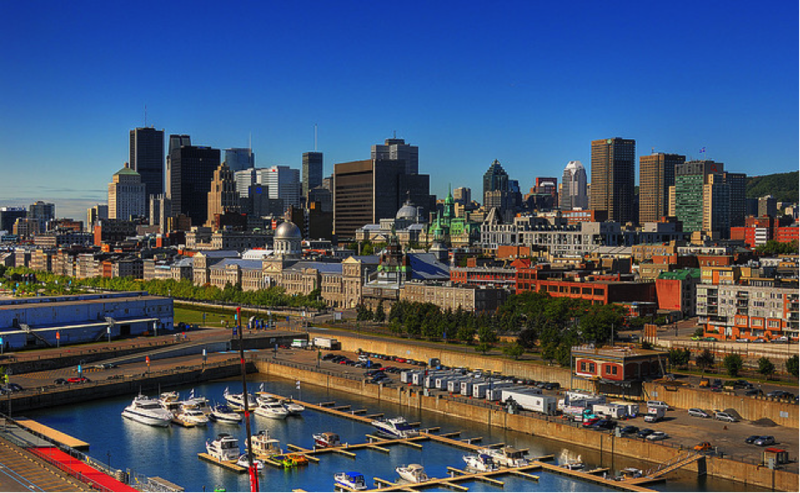 Why should Montréal, Startupfest’s hometown, be considered one of the world’s top 20 startup ecosystems? What makes for a thriving startup ecosystem? In the coming months we’ll be taking you inside both established and emerging startup hubs around the world, talking to the people making startup history and getting to the bottom of what makes each city’s startup story unique. This month we zoom in on Montreal and find out how the International Startup Festival’s host city is putting itself on the startup map. When John Stokes moved from Tokyo to Montreal in 2006, he found a city starved of startups. Montreal’s startup glory days were decades prior when entrepreneur Daniel Langlois pioneered the 3D animation software used for the effects in Jurassic Park, Star Wars Episode 1 and The Matrix, and then sold his company, Softimage, to Microsoft. Though Stokes appreciated Langlois’s contributions to the local startup scene, he’d started and invested in businesses around the world and wanted to do the same in his new town. Encouraged by the few entrepreneurs getting together for breakfasts and meetups, Stokes started the blog Montreal Startup to track their progress. Then he started a fund to invest in the most promising companies, including the fledgling flash sale e-commerce site, Beyond the Rack. In what seemed like no time, there were hundreds of people showing up to events. They were pitching new startups monthly at blogger and community organizer Heri Rakotomalala’s startup pitch event, MTL NewTech. Meanwhile, after organizing dozens of successful Startup Camp Montreal events, local entrepreneur Phillippe Telio had begun to plan the first International Startup Festival, an effort to draw investors and entrepreneurs to Montreal from around the world. Stokes and his partners knew they needed a lot more money to keep up the momentum. In 2010, they raised $50 million and became Real Ventures, now Canada’s largest and most active early-stage fund. The following year, they created FounderFuel, an accelerator program that attracts startups globally. They partnered with dozens of others to establish the Notman House, a 162-year-old mansion turned community center for entrepreneurs. Meanwhile, Beyond the Rack was on its way to becoming one of Montreal’s – and Canada’s – biggest success stories. By the end of 2011, it had raised more than $50 million in venture capital from Canadian and U.S. investors. A billion dollar Montreal-based company. Montreal’s startup community leaders think the city has what it takes to be a top international startup hub, despite being left out of last year’s prestigious Startup Genome Report, which tracked and ranked the world’s top 20 startup ecosystems and included other Canadian cities like Toronto, Waterloo and Vancouver. 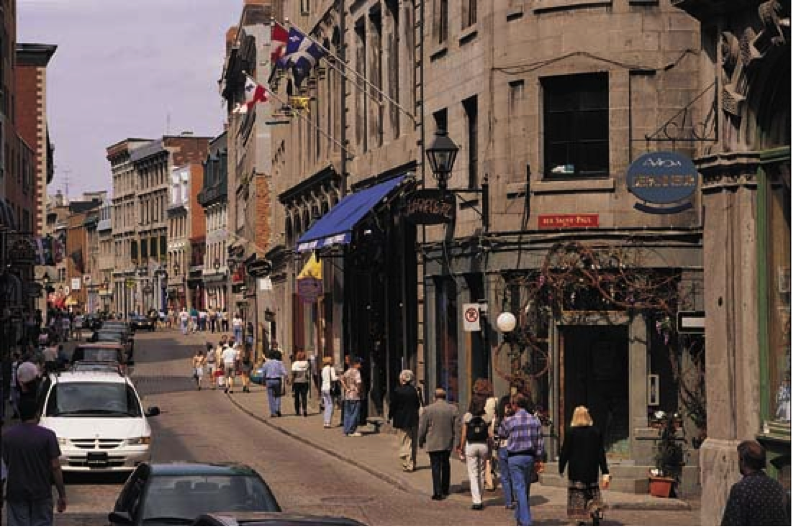 With its diverse French and English speaking populations, some of the top arts and cultural festivals in the world and a reputation as the “Paris of North America,” it’s a place where young, creative and globally-minded people want to live. Fueling that confidence is a widespread belief that startups in Montreal today are capable of hitting the $1 billion valuation. Beyond the Rack has annual sales of $200 million and a plan to hit $1 billion in five years. Equally promising are four fast-moving startups: men’s online retailer Frank & Oak, telecom solutions provider Accedian Networks, next generation point-of-sale system maker LightSpeed and Robichaud’s not-yet-released password manager, PasswordBox. FounderFuel is continually adding to the pool of promising startups, graduating 37 companies since 2011. And another accelerator is in the works for gaming companies. Called Execution Labs, it’ll feed off the talent in the city’s strong gaming sector, which includes the studios of Ubisoft, Electronic Arts, Warner Brothers and Disney. Capital is another draw to Montreal. Startup community insiders say money is more plentiful than in other parts of Canada and that its venture capitalists are more willing to take risks. The city has been successful in luring U.S. firms to invest. Roger Chabra’s Rho Canada Ventures is an example. The New York-based firm established its Canadian presence in Montreal in 2006 and has made 30 investments since then. Quebec also offers tax credits for research and development above and beyond the already generous offerings of the Canadian government, and the Mayor’s Foundation offers grants and help with real estate plays. That culture of collaboration and support is evident throughout the Montreal startup community. Entrepreneurs who have started and sold companies tend to stay to invest or start more, says Startup Festival’s Telio. Even the busiest and most successful entrepreneurs, like Yona Shtern of Beyond the Rack or Ethan Song of Frank & Oak, are known to take meetings with aspiring startup founders. Stokes calls the city “world-class” for its collaborative spirit. Of course, the Montreal startup community has its challenges. There’s no central organization collecting data about startups in Montreal, a possible reason for the Startup Genome results. The city also lacks a direct flight to San Francisco six months of the year, deterring investors and U.S. customers from visits. Toronto has several daily, year-round. Despite the six universities within the city, there isn’t enough technical talent to meet the growing demands of startups, says Stokes, who yearns for the computer science talent bred at the University of Waterloo in Ontario. And, perhaps most significant, the legacy corporations in downtown Montreal skyscrapers have yet to embrace the startups in town. Few have become customers of emerging businesses, or have invested in the cutting-edge technologies and innovations they’re creating. The challenge in building the next great Montreal corporation comes at that “top of the pyramid,” Beyond the Rack’s Shtern says. Most of the startups to exit have been sold to companies in the U.S. Many in the startup community believe Notman House will be the place where those corporate connections are finally made. In August, an $8.5 million renovation will be complete, tripling the size of the campus on downtown’s edge, and adding a public café for entrepreneurs, investors and others to meet and hang out. Stokes believes Notman House is the most important new addition to the community, one that will breed the next generation of Montreal startups and help the city become that global hub for entrepreneurs. “It’s facing downtown and sending the message to large companies that the web is becoming a destructive force everywhere and that it’s extremely important for the whole future of Montreal, Quebec and Canada,” he says.